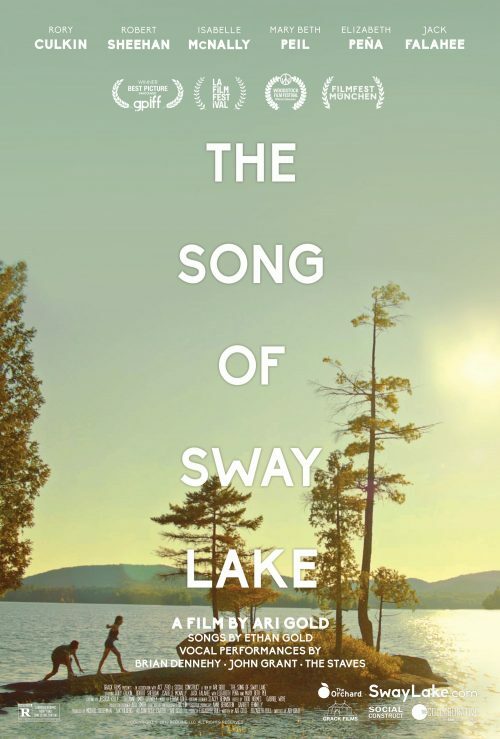 Grack Films and Kew Media are thrilled to announce that The song of sway lake will be available On Demand across the UK and Ireland from 21st January following its 22 prize wins at over 50 international film festivals, and successful US theatrical release. The film’s star-studded cast includes: Spirit Award-Winner Rory Culkin (Signs, Scream 4), BAFTA-nominated Robert Sheehan (Misfits, The Umbrella Academy), Golden Globe Winner Brian Dennehy (First Blood, Cocoon) and features the vocal talents of Brit-award nominated John Grant, who has previously collaborated with artists such as Elton John, Sinead O’Connor and Kylie Minogue, as well as home-grown British indie folk trio, The Staves. Directed by Ari Gold (Adventures of Power), THE SONG OF SWAY LAKE takes place one summer on Sway Lake, former playground of the jazz-age New York aristocracy. Young music collector Ollie Sway (Rory Culkin) recruits his only friend, a homeless Russian drifter (Robert Sheehan), to help him steal a one-of-a-kind vintage record from his own family’s glamorous estate. Ollie believes the secret recording of the WW2-era hit, “Sway Lake,” will redeem his father, who committed suicide there. But the arrival of Ollie’s aristocratic grandmother, Charlie Sway (Mary Beth Peil), changes everything. The matriarch transfixes the class-conscious young Russian, while she sees in him the glory of her youth. And the mysterious song, which hasn’t been heard in half a century, may answer the deepest riddles about love and death, for whichever lost soul is first to find it.